So I finally got cracking on those Traitor Guard. The grey uniform naturally lent itself to some Second World War style stuff, but I wasn’t quite happy with it exactly. As you can tell I didn’t go with grey or dark green in the end. 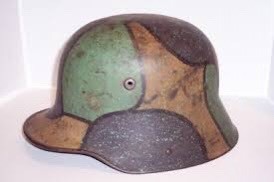 Stormtroopers of the Imperial German army during the Great War uses a sort of geometric camouflage on their helmets and I went with something like that. I’m not sure if this is a replica or an original, but I regardless I think we can agree it is “pretty metal”. One of the crazy things about this chap is that he’s the squad sniper. He will also stab you with a trench knife! I found various types of painted helmet on line. I can’t remember where exactly I found this one - but it looks postwar rather than Great War. 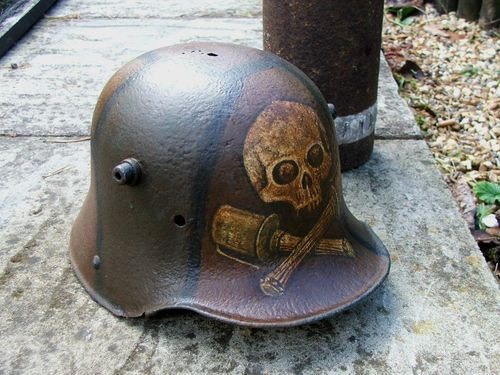 I know the Freikorps used to paint stuff like this on their helmets. 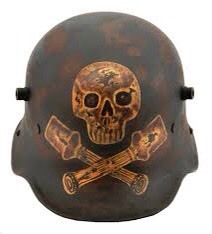 The helmets used during the war itself were a bit more restrained. On the whole, I’m very pleased with it. I had to repaint the brown section as it was a bit too light, but it looks rather well now. There is one squad of seven with black helmets and one squad of seven with the stormtrooper specials. It’s very handy from a gameplay perspective, being able to tell one from the other. Life is bit manic at the moment as the Bear is not sleeping and it’s rather wearing. One can economize on food and drink, but sleep is the one necessity. 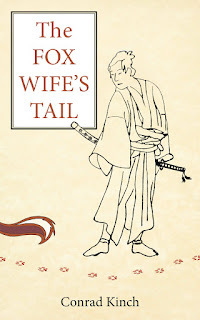 Fortunately, it is a life that has many other advantages. Gentlemen, I don’t know if you’ve ever brought your toddler daughter a flower (tactfully removed from the bunch bought for her mother before I came in the door), but I can assure you that you will feel ten feet tall as a result. She was absolutely delighted. That's an interesting approach on these minis I hadn't thought of. Nice. Guys work has been an inspiration. Getting stuck into a painting groove has been hard to come by for a bit. The other pics are good aren’t they? Aren’t they? Not too hard to paint either. I think that meercat has had a drop too much if you ask me.